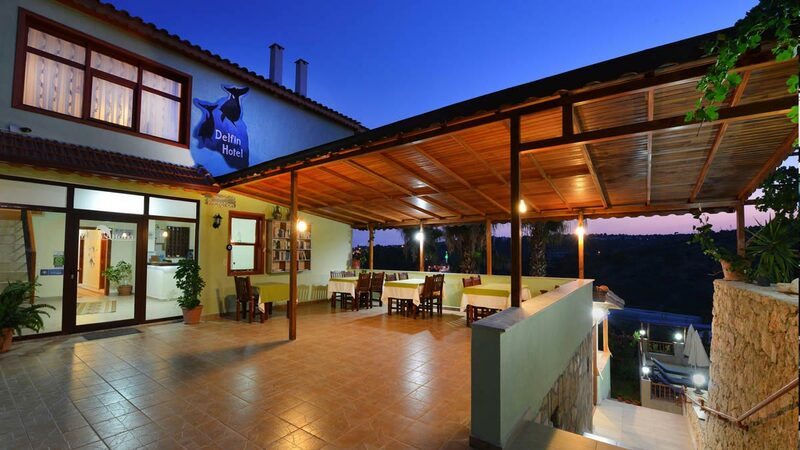 It is family owned by the same owners of the nearby St. Nicholas Pension and Restaurant which were established at the very beginning of tourism in Patara. Our Family has more than 20 years experience in tourism. 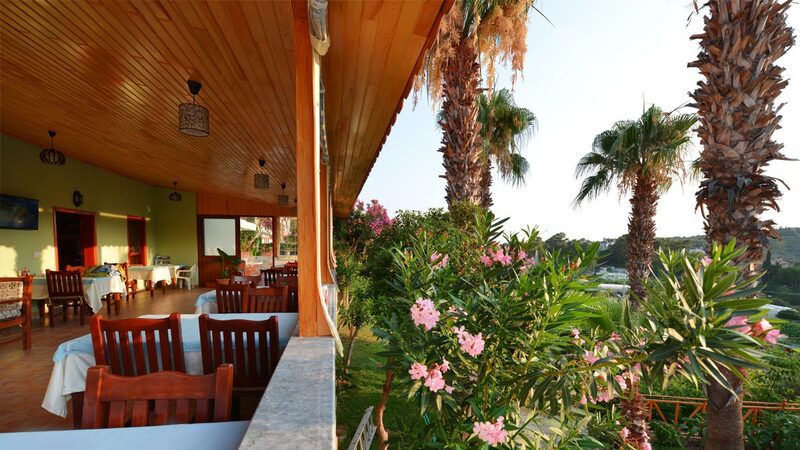 We provide our guests with a relaxing atmosphere combined with traditional Turkish family hospitality. Our Hotel is in a large garden of vegetables of fruits and flowers. 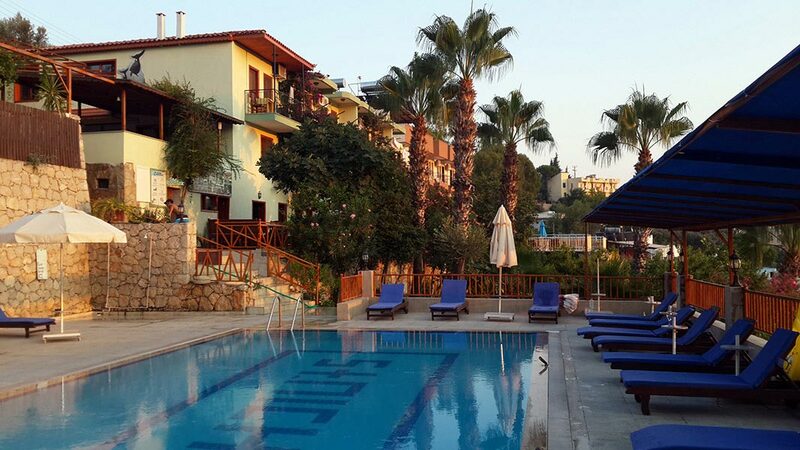 Our large pool area overlooking the view towards the sea is the most attractive one we believe. Our Pool is 12 meters long and depths ranging from 1.4m to 1.7m which is ideal for everyone. At our pool bar we serve fresh drinks and foods all day. 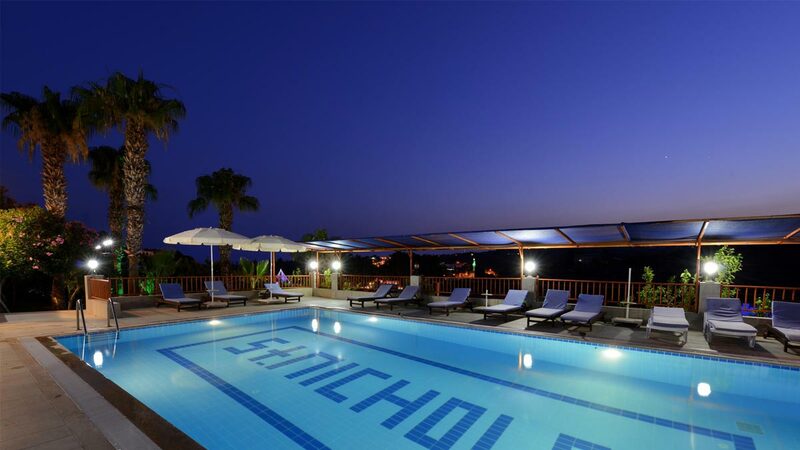 We also organize barbecue nights by the pool every week. Breakfast is served on the terrace overlooking the tropical garden with fantastic views towards the sea. We mainly use our organic products from our garden from 8:00am till 11:00am for a long breakfast. After a refreshing breakfast on an sunny medditeranean day, our guests can take our free shuttle service to world famous Patara Beach for an enjoyable day. We also organize many excursions from our hotel to Lycian sites or natural wonders in the region. Around 5:00 pm we serve fresh turkish tea and home-made cake from the house when the last shuttle from beach service arrive the hotel. At our tea time our guest will have change to share their holiday experiences and make friends. 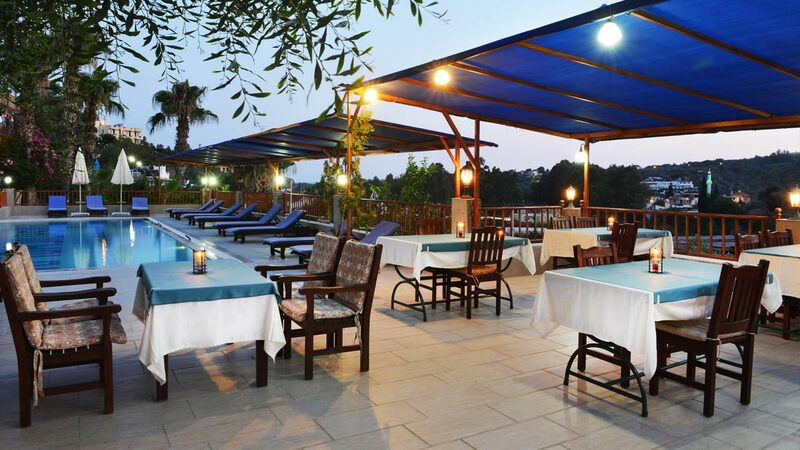 The Patara Delfin Hotel has a variety of rooms to accommodate people with different needs. We have a total of 22 rooms designed with mediterranean style and all have air-conditioning, private balcony and ensuite shower room/WC. Family rooms which can accommodate 3 people also have a small fridge and kitchenette to prepare basic drinks and fruit plates.. Our 2 Deluxe rooms have a living room with dining table, kitchen for cooking, sattelite tv and private terrace.